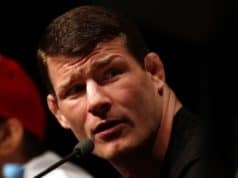 Michael Bisping makes an interesting claim about the potential boxing showdown between UFC lightweight champion Khabib Nurmagomedov and Floyd Mayweather. It seems like each day there is a little more traction for making this fight a reality. Much of that is due to the boxing legend keeping it in the headlines. Although the UFC would have to sign off on it, the early betting odds have already been released. 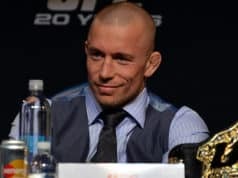 Now, fighters are giving their take on this fight and that now includes the UFC analyst and former middleweight champion. Bisping recently talked about it on his Believe You Me podcast. According to him, he doesn’t think that Mayweather wouldn’t be able to stop Khabib like he did Conor McGregor last August. “I swear to God, Khabib would go the distance with Mayweather,” opined Bisping (H/T to MMAFighting). “He’d go the distance with Mayweather. I’m not saying Khabib is a better boxer than McGregor, he’s not a better striker, he’s not as elusive, he’s not as slick – but he’s got a f**king chin and he’s got cardio for days. The former UFC champ also brought up how this fight really comes down to cardio and how long the fight lasts rather than striking skills. 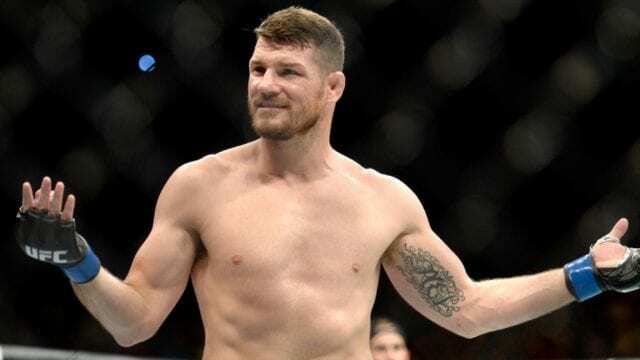 Bisping doesn’t see Khabib getting tired in a boxing bout and it would go all 12 rounds. Money drives the world right? Well, if that’s the case then there is a lot of it to be made if this bout should happen. Although it would be big money, Khabib is not the huge pay-per-view draw that McGregor is. Therefore, a fight involving Khabib wouldn’t get a massive PPV buyrate.